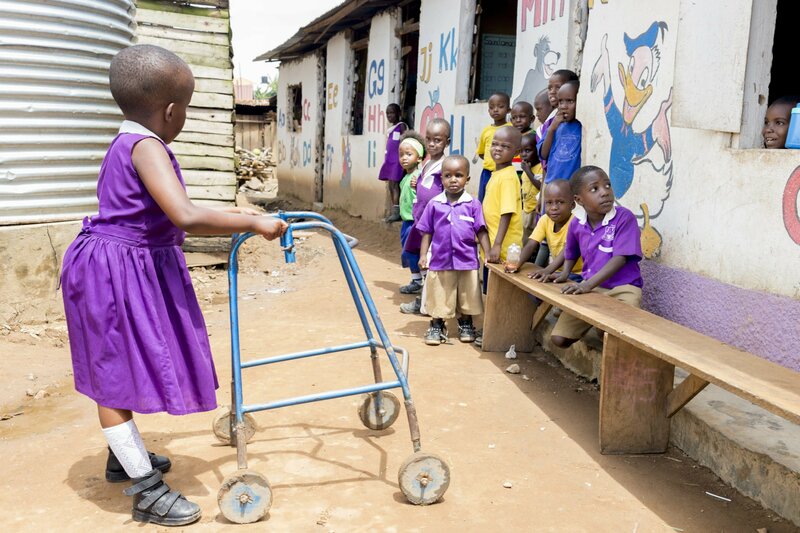 28 March 2019 // Femke Bannink, Ruth Nalugya and Geert van Hove together with other partners in Uganda carry out the study ‘Evidence based inclusive education for children with disabilities’. They published a paper called ‘They Give Him a Chance – Parents’ Perspectives on Disability and Inclusive Primary Education in Uganda’, aiming to give a new perspective on how disability is perceived in Uganda, and to develop a better way to include children with disabilities in the primary education system. Currently, inclusive education interventions in low-income countries are dominated by definitions and frameworks from disability studies and educational research scholars from high-income countries. With the aim to give alternative starting points for inclusive primary education programmes, the researchers explore the themes ‘missing parts’, the ‘ability to manage’, ‘belonging to a family’, and ‘being given a chance’ as key concepts of disability and inclusion. They found that recognition and belonging are key. It recognises a child as a human being and part of humanity (‘obuntu bulamu’). They propose a framework in which belonging (the attachment to people and places in a person’s life) is placed before being (who the person is) and becoming (things the person does through life). We are grateful to Norad, who provides IF with funding to make this study possible, and to the authors, who are IF’s much valued partners. Read the abstract and purchase the full document. Femke Bannink is a post-doctoral researcher working on inclusion of children with disabilities. The results of the study echo those of her previous research, in which she found that the involvement of parents and their socio-economic status plays a big role in the cognitive development of children with spina bifida and hydrocephalus, even more so than other (medical) parameters. Geert van Hove is also a researcher in the field of Disability Studies and Inclusive Education, while Ruth Nalugya is a social scientist at the MRC/UVRI & LSHTM Uganda Research Unit and Executive Director at the Spina Bifida and Hydrocephalus Awareness Network.